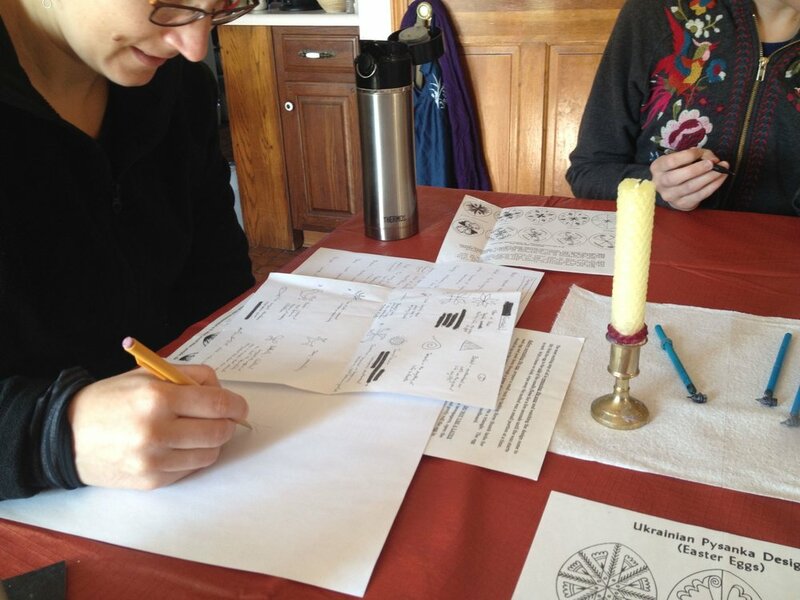 About once a month, I get together with five other women to talk about and share examples of creative work we’re currently involved in—from writing and designing to painting, drawing and enameling, we represent a range of abilities and interests. But sometimes, rather than checking in on projects we’ve started or completed, we just make art. And we're fortunate enough to have the kind of rapport with one another that makes trying new things easy. 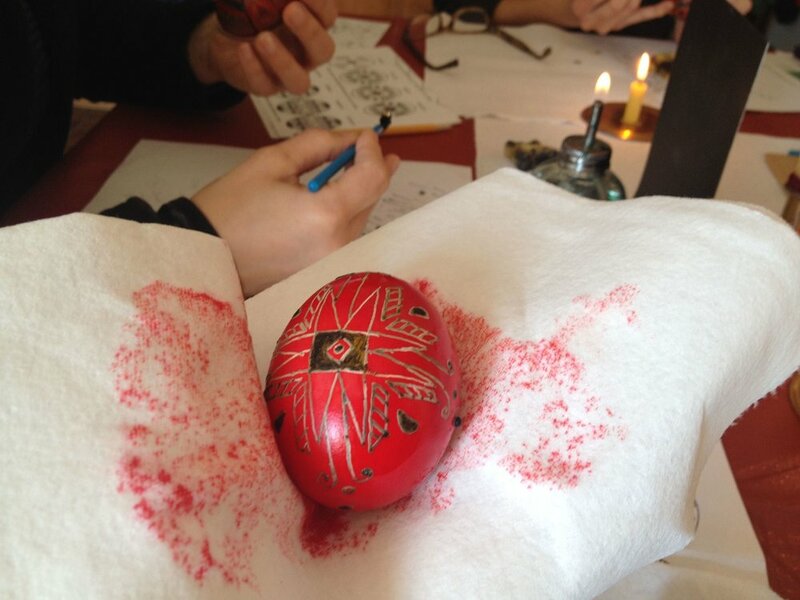 So this past Saturday, in time for Easter, we gathered around a table to decorate eggs in the Ukrainian Pysanka tradition. I’m usually focused on achieving a certain level of perfection when it comes to my design work; it can be difficult, consequently, to embrace the improvisational and imperfect nature of relying on my own two hands without the aid of technology. All the more reason to do it, of course, but it’s a humbling experience knowing that the process is often more important than whatever the final piece looks like. 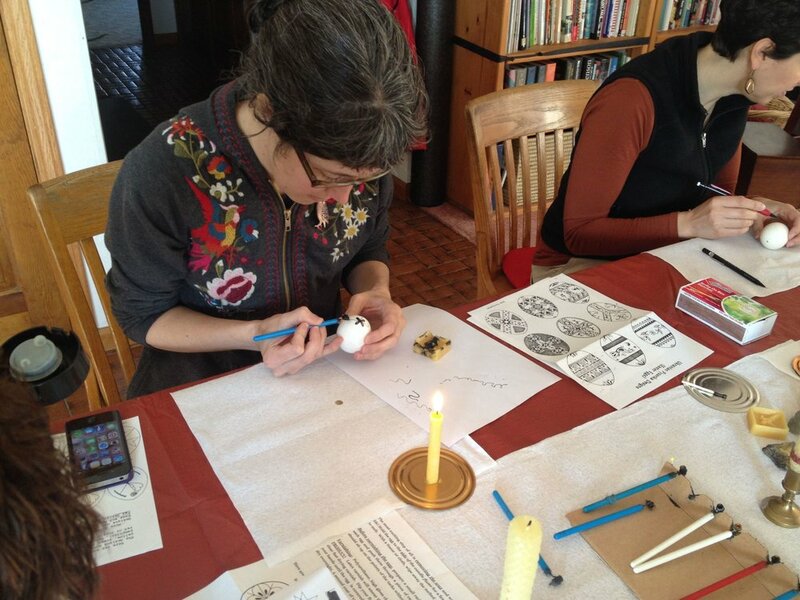 As I sat and worked with the others, enjoying the easy flow of conversation while studiously focused on my egg, I appreciated having to step outside of my comfort zone and accept my lack of experience (and control) using a kistka stylus to draw wax designs on an egg. I can't claim that I'm particularly good at it—I'm not—but the challenge is what makes it fun. And not having the benefit of undo/copy/paste options is a valuable lesson in turning the inevitability of human error into “happy accidents.” This Easter, I'm particularly thankful for the preservation of rich cultural traditions that make holidays such as this one truly meaningful.